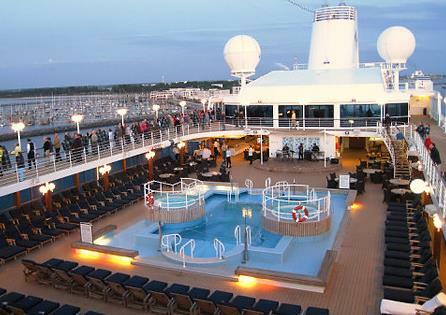 If you've been on a cruise or two, chances are you’re hooked. It’s easy to fall in love with this style of holidaying, the relaxation that comes with not having pack and unpack, a new site to explore every day, and the comfort of all-inclusive meals, accommodation, entertainment and activities. For seasoned cruise travelers, we've picked five lesser-known cruises, to inspire you when you go to book your next holiday. The Antarctic Circle may not be your first thought for a cruise holiday, but it offers a lot of draw cards. For starters, the ship is small, and custom-built for forging through icy waters and rough seas. A smaller ship equals a more intimate holiday; perfect if you’re tired of the crowds that pack the larger, mainstream cruise lines. Antarctica cruises typically attract adventure travellers, so if it’s adventure you seek, you’ll be in good company. Cruises to Antarctica run from October to March, and summer days offer up to 20 hours of sunlight per day. Take the luxury of a European river cruise, and head somewhere off the beaten track. A cruise through Russia ticks all the boxes, particularly if you love history. Learn about the great cities of Moscow and St. Petersburg, and soak up the history of Red Square, Catherine’s Palace and the Hermitage. Retire in the evenings to the comfort of your luxury river cruise vessel. Cruising in South America puts you in the perfect spot to experience the warmth and energy of the South American countries. One very special ‘bucket list’ item worth experiencing by cruise is the Amazon River. Visit Boca de Valeria, a remove village on the edge of the Amazon, occupied by approximately 75 Cabocio Indians. These locals are renowned for their warm welcome and beautiful traditional dress. Hawaii is a relatively new cruise destination, and is most frequently used as a stopover in the Pacific Ocean. For a holiday with a difference, why not fly to Los Angeles, spend some time in the US, and cruise back home via Hawaii! This tropical paradise is perfect for relaxation and a visit by cruise is truly spectacular. Explore the hidden wonders of China by cruising the Yangtze River. Marvel at the Three Gorges from the comfort of your five-star ship. These dramatic rock faces are incredibly humbling. Be captivated with the friendliness of the locals; you might even be invited to join some Tai Chi practise in a local park. Learn the history of the Terracotta Warriors and Confucian temples. If you consider yourself a seasoned cruise traveller, then it’s time to start thinking off the beaten track for your next holiday. Whether you love adventure, history, or stunning natural wonders, a cruise holiday allows you to do it all in a relaxed and convenient fashion. i dreamed of going for a cruise someday, sounds so impossible for us haha but anyway, dreaming doesn't cost us a penny so it's alright. Your right its not my first thought for a cruise, but it is first on my bucket travel list. Having traveled just about everywhere else, I'm ready to start check this out now. woooh, one of my dreams is to cruise someday and visit beautiful and unique places around the world. very nice lists!! i wanted to go to hawaii! we almost had a cruise that one from singapore and were so tempted then! hopefully soon! Interesting.. I thought of picking just one destination for cruises.. But at the end of my reading this, I wanna take them all. hahaha!